The Shenzhen based company, Xulong who makes the famous Raspberry Pi Clone; Orange Pi has recently launched a new IoT board to expand its IoT family line. The company who launched a 4G board, the Orange Pi 4G board early this year has announced the Orange Pi 3G IoT board, an IoT board that offers worth comparison to the 4G board and comes cheaper. Just like its other released boards, the Orange Pi 3G is also an open source board. 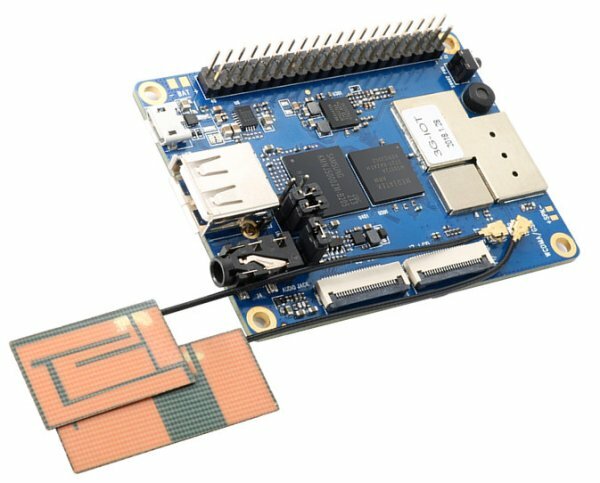 The SBC (Single Board Computer) is powered by a dual Cortex-A7 MediaTek MT6572 running at 1.2GHz speed, a bit lower than the quad-core 1.3GHz MediaTek MT6737 found on the Orange Pi 4G board and higher than the single-core 1GHz RDA Micro 8810PL found on the Orange Pi 2G board. The Orange 3G boards provide a compromise between using the slower 2G board and the most expensive 4G board. The board will allow users to deploy IoT solution on the widely available 3G networks as compared to 4G networks. The board doesn’t just come with only 3G cellular connectivity but also includes WiFi, Bluetooth, and GPS making it an ideal candidate for use as an IoT gateway. The board is equipped with a 512MB DDR2 RAM, an onboard 4GB eMMC memory and support for a MicroSD card. It comes equipped with the standard 40-Pin header found on the Raspberry Pi, and this will allow it to have compatibility with some Raspberry Pi Hats.